You would've heard Green Day's music somewhere, as their career spanning three decades has brought them a place in the Hall Of Fame, a Broadway musical and countless albums and tours. Following on from the ¡Uno!, ¡Dos!, ¡Tré! trilogy of 2012 comes Revolution Radio, sounding more like the politically-charged album titles the band are well-known for. Their twelfth studio album starts with 'Somewhere Now' - the usual blow-your-ears-off raucous guitars are missing, but the song is instead reminiscent of ¡Viva la Gloria! from 2009's 21st Century Breakdown, quiet and serene. The California born-and-raised trio soon revert to type as the drilling guitars punch their way through later in the opener and this track alone shows that they're back on top form. Title track 'Revolution Radio' is the perfect scenario for mosh-pit lovers, it's loud and a party within a song. Not forgetting it has a political element to it within the lyrics, with "Give me cherry bombs and gasoline / debutantes and surgery / and the headline 'legalise the truth'" being screamed through the chorus as Billie-Joe spits venom towards the establishment with every word. 'Bouncing Off The Wall' is one of the most lively on the album, with the party vibe popping up again throughout. Being one of the shortest tracks, it definitely packs a lot of punch and just a tip - don't wear your headphones too loud at the end, as the screeching guitars will make your ears bleed, unless you want that of course. In which case go for it, fill your boots. Being Green Day you would expect more expletives in an album, but there's only one song with the 'EXPLICIT' label on Spotify and iTunes, 'Youngblood'. 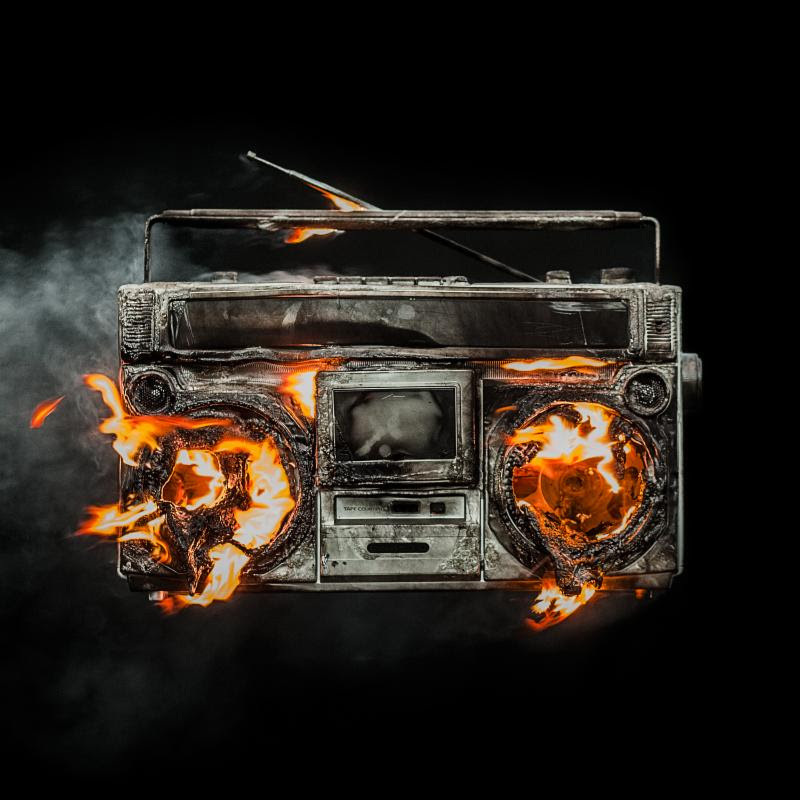 Even so it shows that Green Day have still indeed got it and after three decades of making music, they have enough politically charged motivation to create music that resonate with anyone, and Revolution Radio will probably gain them a fair few new fans. The trio have nailed it once again. Buy Revolution Radio on iTunes, Spotify and on Amazon (UK | US), as well as the Green Day Store. Follow Green Day on Twitter, Facebook and Instagram to see with what they're doing. Don't forget to follow me on Facebook to keep up with my posts as soon as they're published.